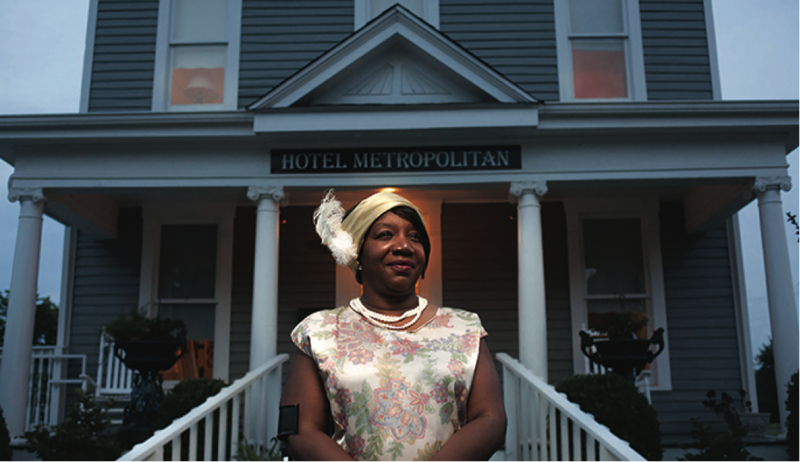 In honor of Women’s History Month, KFW is featuring Maggie Steed, a Paducah business woman whose hotel hosted many famous African Americans and now stands as a historic site. We also wish to thank KFW Grantee Betty Dobson for her tireless work to preserve Steed’s legacy. Visit the Hotel Metropolitan Museum in Paducah and you will see a testament to one woman’s grit and courage. The museum is one of the few African American historic sites still standing in the Purchase Area. Maggie Steed, a young Paducah woman, dreamed of providing a hotel that would welcome and nurture African American travelers, musicians and athletes of the day. Steed’s husband Henry was against building a hotel. After he died, Steed used his name to set the plan in motion. Her house was razed and the hotel was completed by the spring of 1909. At the end of five years, after paying $1,250 plus interest, Maggie Steed regained the full title to the property. In a 1915 publication from the General Association of Colored Baptists, Maggie Steed explained that she “saw the need of a modern hotel in the city to accommodate her people” and “being economical and having a business mind” she was able to fill this need. “Maggie building the hotel Metropolitan was an act of courage. Because, women didn’t have any rights during this period and could you imagine what it was like being a black woman. Remember blacks were considered as second class citizens,” said Betty Dobson. Steed’s guests included the General Association of Colored Baptists in Kentucky, Tina Turner, B.B. King, Duke Ellington, the Harlem Globetrotters, Cab Calloway, and Ike and Tina Turner and Louis Armstrong. In the 1930s an out building known as “the purple room” was built to accommodate musicians who kept late hours and played their instruments at all hours. 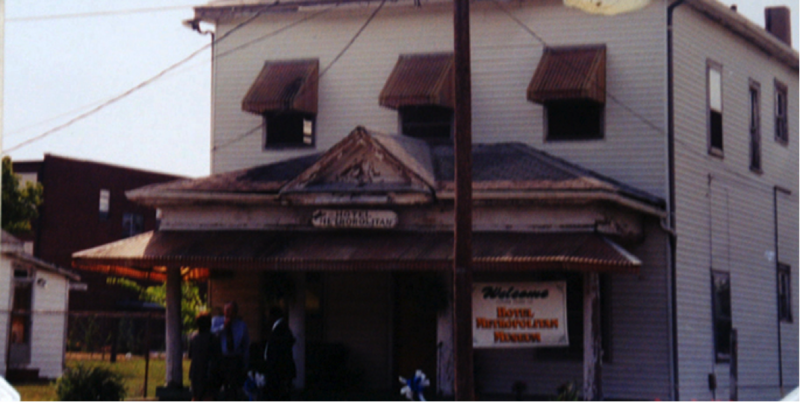 The hotel fell into disrepair after desegregation and was condemned in 1999. Betty Dobson and Sheryl Cooper formed the Upper Town Heritage Foundation (UTHF) to restore and preserve the hotel. “After hearing the stories from the community about Maggie and all the famous people, I knew we had to do something to save the hotel,” said Dobson. 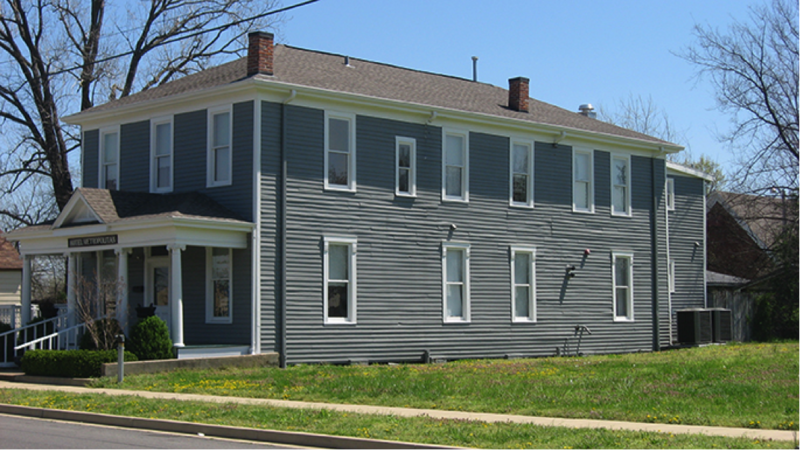 With two $100,000 Rural Business Enterprise Grants and $100,000 appropriated by the Kentucky General Assembly in 2000, the UTHF renovated the building, which now functions as a museum and allows overnight guests. Dobson offers tours, which she leads in the persona of Maggie Steed. 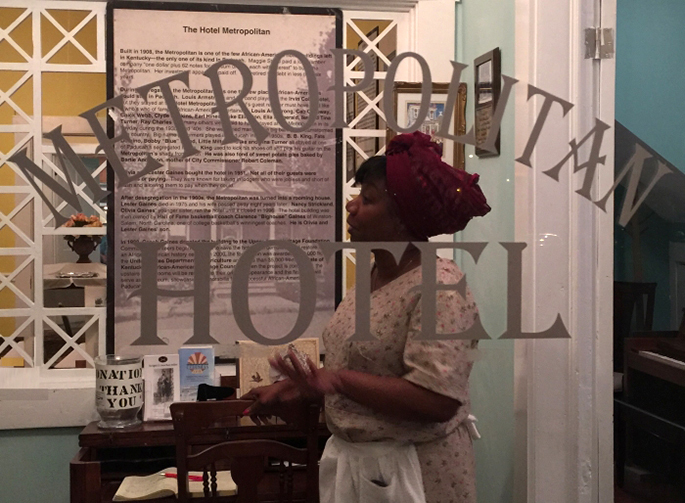 “Visitors of the Hotel Metropolitan get a glimpse into what life was like for people of color during the days of segregation. They will be able to see the love that Ms. Maggie offered to each and every one of her guest. Thank God for Maggie! If there was no Maggie who would have encouraged those young super stars to be? No Maggie, no stars,” said Dobson. To keep up to date with Hotel Metropolitan and all of the amazing work they are doing in Paducah, like their page on Facebook!